Ask the runes a question, get an answer. Free, instant reading using the ancient wisdom of the runes. Concentrate on your question, asking Odin or your personal spirit guides for advice. Your question will be answered in the 'Result' box. Fehu:( ᚠ F - Domestic Cattle- Wealth) Possessions- won or earned. Earned income- luck and abundance. A sign of hope and plenty- success and happiness. Expect improving financial strength in the present or near future., Uruz: ( ᚢ U - Auroch- The Wild Ox) Physical strength and speed. Untamed potential. You are experiencing a time of great energy and health. Expect freedom- energy- action- courage and wisdom. There is a possibility of unexpected changes for the better., Thurisaz: ( ᚦ Th - The God Thor- The Giant) A directed force of destruction- defense and conflict. A tendency toward change- purging- cleansing fire. There is a possibility of radical change- combined with protection and casting away negative influences., Ansuz: ( ᚨ A - The As- Ancestral God- Odin) Expect a revealing message or insight. Look for signals and inspiration. Find wisdom in speech- the power of words and in heeding good advice., Raidho: ( ᚱ R - The Wheel) Travel or a journey- both in physical and spiritual terms. An evolution- vacation- relocation or change in place or setting. Seeing the right direction and moving toward it. Expect movement in your life. It could be a physical change of place or a change in life direction., Kenaz: ( ᚲ K - The Torch) A sign of vision- revelation- or inspiration. Directed power and force. The ability to use your energy to direct change. You are experiencing a time of great power in your life. Expect self-directed changes for the better., Gebo: ( ᚷ G - Gift) Gifts- both given and received. A sign of balance. A good partnership or relationship. A mutually beneficial contract. This is a sign of a positive relationship., Wunjo: ( ᚹ W or J - Joy- Harmony) Comfort- pleasure and fellowship. A sign of success and recognition of worth. Belonging and family. Expect a period of joy and personal fulfillment., Hagalaz: ( ᚺ H - Hail) The wrath of nature- destructive and uncontrolled forces- especially the weather or within the unconscious. Beware of unexpected and sudden changes- possibly negative., Nauthiz: ( ᚾ N - Need-Fire) Delays- restriction. Resistance leading to strength. Innovation and self-reliance. Distress- confusion and conflict and the power to overcome them. Endurance- survival and determination. Expect a time of challenges- leading to greater self reliance and inner strength., Isa: ( ᛁ I - Ice) No Movement. A challenge or frustration. A standstill- being 'stuck'. You may need to look inward to seek clarity or wait for resolution of circumstances beyond your control. Progress is unlikely until the blockage is removed from your path., Jera: ( ᛃ J or Y - A Year. The Good Harvest) The results of earlier efforts are rewarded. A time of peace and happiness. A fruitful season- it can break through stagnancy. You can expect be rewarded for your hard work and previous accomplishments., Eihwaz: ( ᛇ Ei - The Yew Tree) Strength- reliability and protection. Trustworthiness and endurance. Your goals are within your reach. Don't give up., Perthro: ( ᛈ P - The Cup. Chance- Luck) Luck earned through past actions. Knowing your destiny. A mystery. Secrets and hidden matters. There may be unseen influences effecting this issue. Look behind the curtain., Algiz ( ᛉ Z or R - The Elk.) Protection. A shield. Defense and warding off of evil. A guardian. Have the courage to follow your dreams. You are protected., Sowilo: ( ᛋ S - The Sun) Success. Goals achieved. Honor. This is a time when power is available to you to create positive changes in your life. This is a period of victory- health and success. Go for it!, Tiwaz: ( ᛏ T - Tyr. The Sky God) Justice and honor- leadership and authority. A willingness to self-sacrifice. An earned victory or success in competition or legal matters. This is a time of power and achievement- but you may have to sacrifice something important to achieve your goals., Berkano: ( ᛒ B - The Birch Tree. The Goddess): Birth or rebirth. Personal and physical growth. Regeneration- renewal and a promise of new beginnings. A new love affair or a birth. This is a time of renewal. It is a fresh start and a chance to begin again., Ehwaz: ( ᛖ E - The Horse or Horses) Transportation. Possibly a car- plane or other vehicle. Movement and change for the better. Gradual progress. Teamwork- trust and loyalty. An ideal marriage or partnership. This is a positive sign of change and movement. It also indicates a healthy relationship or partnership., Mannaz: ( ᛗ M - Man- Mankind) The self- the individual or the human race. Your attitude toward others and their attitudes toward you. Friends and enemies- social order. Intelligence- forethought- creativity. Hang on a bit longer. You can expect to receive some sort of help or cooperation soon., Laguz: ( ᛚ L - Water- Lake) Fertility. The healing power of renewal. Psychic energy and intuition. Dreams- fantasies- mysteries of the unknown. This is a time to draw on your intuition and instinct. You probably already know the answer to this question. Trust your feelings on this matter., Ingwaz: ( ᛝ Ng - Ing- The Earth God) Gestation- a time of waiting for the results of your efforts. This is a period of rest while a seed germinates. Be patient and enjoy this peaceful time while it lasts., Dagaz: ( ᛞ D - Day. Dawn) A breakthrough- an awakening or awareness. To see things clearly. This is a good time to embark on a new project or direction. Seize this time of power to create change directed by your will., Othala: ( ᛟ O - Inherited Wealth) Inherited property or possessions. A house- a home. Traditions- heritage- customs and religion. This is a sign of things passed down from generation to generation. Look to family or traditional methods for help with this issue. Get the free mobile version and Ask the Runes on the go! 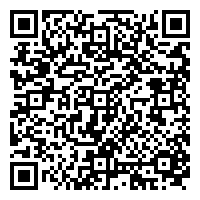 Scan this barcode or click this link on your Android phone or tablet to download the 'Ask the Runes' app. Locate com.goldnuggetwebs-11.apk in your download folder and tap to install.